Fragment of young plant (Qingdao, Yellow Sea, China). Insert: plantlet.. 09 Mar 2012. Eduard and Tamara Titlyanova. © Eduard and Tamara Titlyanova (etitlyanov@mail.ru). Sargassum horneri (Turner) C.Agardh Fragment of young plant (Qingdao, Yellow Sea, China). Insert: plantlet. Type locality: "In the Straits of Corea" (Turner 1807-1808: 34). Lectotype: Fig. 7 A: Dr. Horner; BM-K (Yoshida 1983: 116). Accesses: This record has been accessed by users 4396 times since it was created. Choi, H.G., Lee, K.H., Yoo, H.I., Kang, P.J., Kim, Y.S. & Nam, K.W. (2009). Physiological differences in the growth of Sargassum horneri between the germling and adult stages. Proceedings of the International Seaweed Symposium 19: 279-285, 4 figs, 1 table. Honda, M. & Okuda, T. (1989). Egg liberation, germling development and seasonal changes in photosynthetic rates of autumnal Sargassum horneri. Japanese Journal of Phycology 37: 46-52. Kim, H.-S., Sanjeewa, K.K.A., Fernando, I.P.S., Ryu, BM., Yang, H.-W., Ahn, G., Kang, M.C., Heo, S.-J., Je, J.-G. & Jeon,Y.-J. (2018). A comparative study of Sargassum horneri Korea and China strains collected along the coast of Jeju Island South Korea: its components and bioactive properties. Algae. An International Journal of Algal Research 33(4): 341-349. Kunieda, H. & Suto, S. (1940). On the fertilization in Sargassum Horneri Ag.. Japanese Journal of Botany 11: 141-146, Plates I, II. Ogawa, H. (1986). 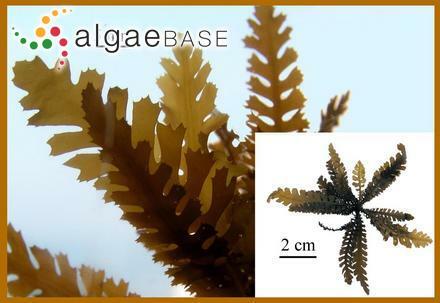 Combined effects of temperature and salinity on the early development of marine algae II. Rhizoid development of Sargassum horneri (Turner) C. Agardh.. Japanese Journal of Phycology 34: 137-141. Uchida, T. (1993). The life cycle of Sargassum horneri (Phaeophyta) in laboratory culture. Journal of Phycology 29: 231 -235, 21 figs. Uchida, T., Arima, S., Hirata, S., Saga, N. & Tatewaki, M. (1996). Free-living cells released from thalli of Sargassum horneri (Phaeophyta) in culture. Botanica Marina 39: 269-272. Umezaki, I. (1984). Ecological studies of Sargassum horneri (Turner) C. Agardh in Obama Bay, Japan Sea. Bulletin of the Japanese Society of Scientific Fisheries 50: 1193-1200. Umezaki, I. (1984). How many eggs will be discharged from the plant of Sargassum horneri?. Proceedings of the International Seaweed Symposium 11: 389-402. Uwai, S., Kogame, K., Yoshida, G., Kawai, H., & Ajisaka, T. (2009). Geographical genetic structure and phylogeography of the Sargassum horneri/filicinum complex in Japan, based on the mitochondrial cox3 haplotype. Marine Biology, Berlin 156: 901-911.